HONG KONG: Women from Hong Kong have found a new cheap and easy way to lose weight, by going to the beach just before sunset, taking off their shoes and spending between 10 seconds and 40 minutes starring at the sun. 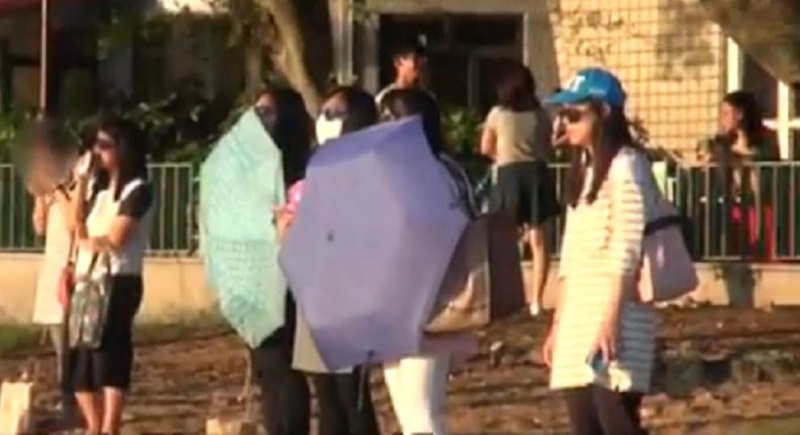 A large number of Hong Kong and Chinese women aged between 30-40 are starting to join in the fad which they call “Sun Eating” or “Sun-gazing” believing that the ritual will transport solar energy from the sun to their bodies, thus helping to reduce their weight. They also believe it helps improve their vision and gives them better sleep. “We practice sun-gazing as a substitute for eating food,” one sun-gazer told reporters. “And some of us who have completed the therapy now eat less and some donʼt eat at all,” she added. However, a doctor and skin care specialist confirmed that staying out in the sun for such a long period can increase the risk of skin cancer and also damages eye sight.